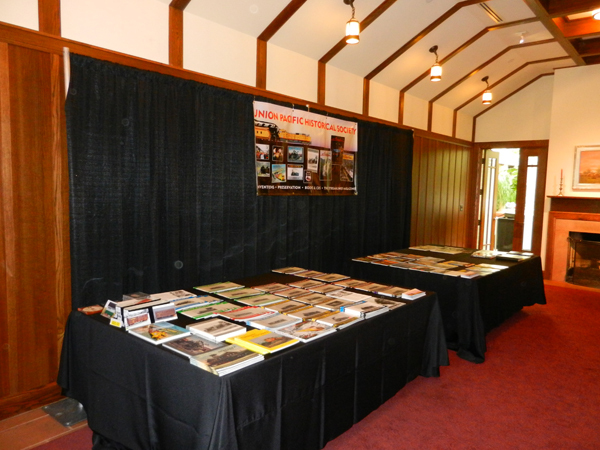 UPHS Board members and member volunteers participated in the Omaha – Council Bluffs Railroad Days celebration on July 13th and 14th by setting up and manning a display at Lauritzen Gardens in Omaha (left). 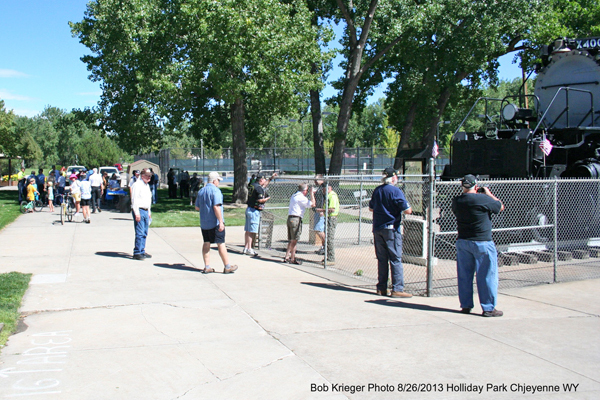 Bob Krieger orchestrated, local volunteers helped and city officials participated in an event to celebrate the 50th anniversary of the dedication of UP Big Boy 4004 in Cheyenne’s Holiday Park on August 26, 2013 (below). UPHS Board Members and volunteers set up a UPHS display at the UPRR Roseville (California) Service Unit Family Day event on Saturday, September 21, 2013 (below right). 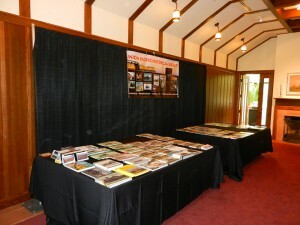 The event was cut short by a wind and rain storm. 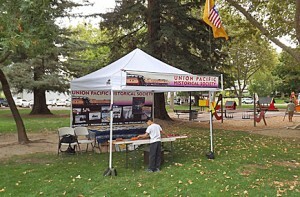 Please volunteer and help UPHS efforts to support local railroad related events.